GSMArena team, 31 July 2015. 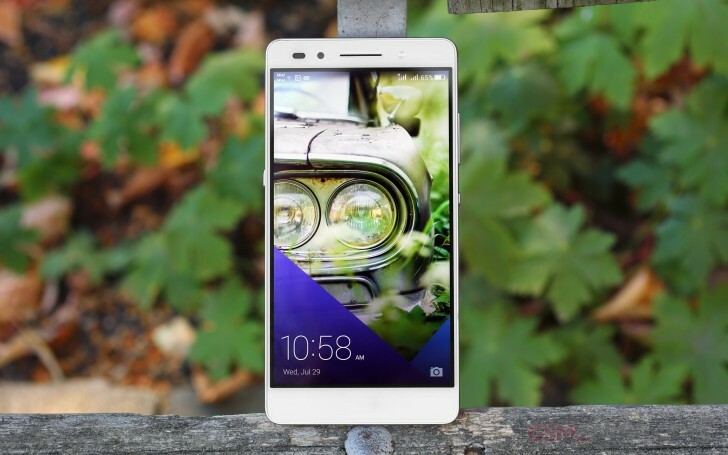 The Honor 7 is Huawei's bid to bring an extra touch of class to the upper midrange. Some serious hardware in a highly attractive shell may as well help the Chinese pull it off. Whether it is meant to co-exist with the P8 flagship or be its alternative in select markets, the Honor 7 manages more than a few nice surprises in multiple departments. Just like the one before it, the Honor 7 omits the Huawei logo - perhaps an attempt to raise the profile of the midrange lineup as a stand-alone brand. 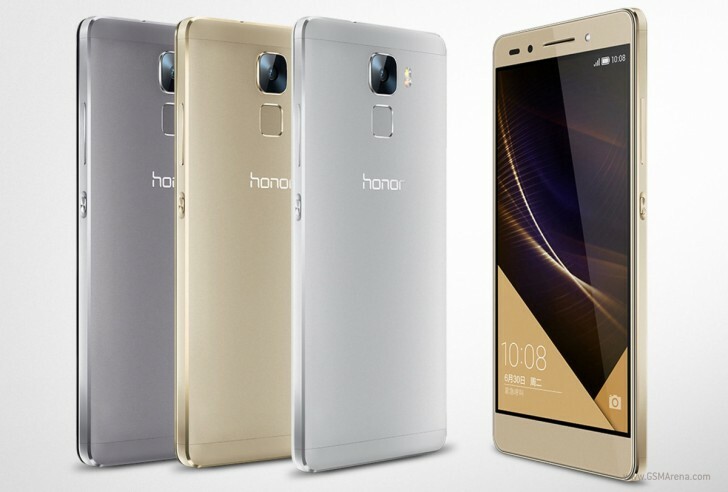 Anyway, elegantly engraved across the alloy back, the Honor logo couldn't have hoped for a better-looking background. Still, Huawei's touch is easily recognizable, from the stylish alloy chassis and EMUI 3.1 on top of Android Lollipop, to the solid fingerprint scanner implementation and the impressive 20MP camera. Huawei didn't make the Honor 7 as thin as the P8 for a reason - there's just more, and better, hardware to accommodate. The extra 2mm of depth allowed room for a higher-res main camera, a superior selfie cam with its own LED flash, a fingerprint scanner, a bigger battery and an extra configurable hardware key. We saved the best news for last - the Honor 7 comes cheaper than the Huawei P8, which puts the latter in a rather awkward position. Huawei's latest Kirin 935 chipset is surely capable enough but it may have an inherent flaw, its GPU. Having seen and experienced the same quad-core Mali-T628 graphics chip in previous Huawei handsets, we've been less than impressed. Huawei opted for the same old GPU yet again, so we have our doubts about its gaming capabilities. The metal unibody comes at the expense of a non-removable battery, which we are OK with. But it's still beyond us why Huawei doesn't want to enable 1080p at 60fps or 4K capturing. Is it because of the underpowered GPU? Could be. Anyway, we're done guessing. Let's get busy and see what the Honor 7 is really capable of.